[1: 1,955 of 10,000] What Mask Do You Wear? 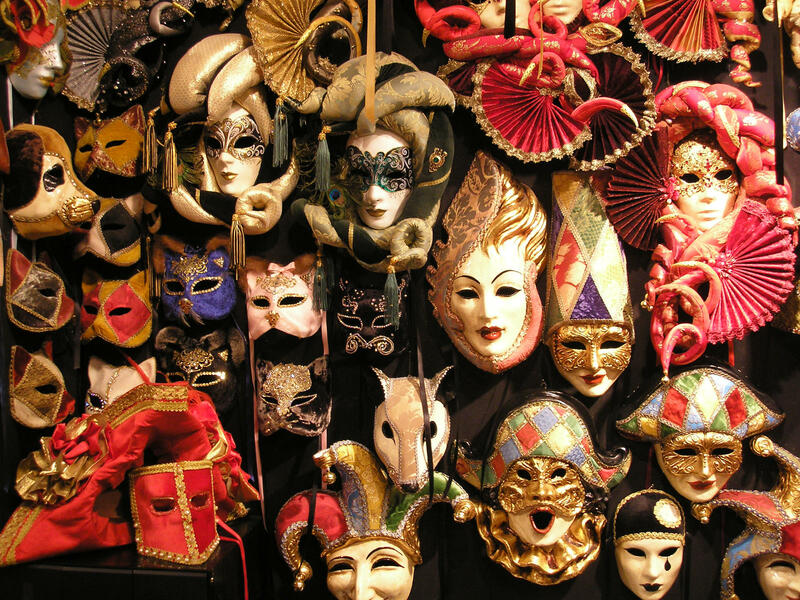 What mask do you wear to feel accepted, comforted, and secured? I’ll tell you a secret, you don’t need to hide from a mask, you’re one of a kind, a superstar, you just have to let yourself shine. The ranks, the social classifications, the judgments coming from prejudice are not important, recognize that. What will you sacrifice to protect your mask? I’ll tell you a secret, you have to find out what’s most important that you can do and then choose the sacrifice that matters. Is it worth protecting? I’ll tell you a secret, what’s worth protecting is having every opportunity to love yourself and when you do you will have no choice but to love others. Have you reached your deepest desire? I’ll tell you a secret, keep all the noises down, and listen to what’s important and don’t be afraid to find the answer and go live it. Have you recognized love, connection to God, and living doing what you’re meant to do? I’ll tell you a secret, it’s always been in you, you’ve only forgotten it, and allowed to abide a clouded fear. Are you ready to take off your mask? I’ll tell you a secret, choose love over fear. Your inner compass knows what’s right, whatever is stopping you do what is right is rooted from fear, now dissolve that fear and choose love. Are you ready to overcome feeling embarrassed? I’ll tell you a secret, whatever it is that you think is awful got only worst when you create scenes that never happened. You will only feel embarrassed if you’ve given up but why will you give up when you are given every bit of chance every time you wake up in the morning to live without fear. [1: 1,954 of 10,000] What Do You Desire? Photo source: Banksy’s Instagram Post – The Banksy artwork got shredded right before everyone’s eyes after it was auctioned for 1 Million Pound. I didn’t know Hannah Gadsby until I’ve seen the 70th Primetime Emmy Awards when she presented the Outstanding Directing for a Drama Series. It was an under 2 minutes exposure and yet she caught my interest. There is something about her, I didn’t really like the hosts for the Emmy this year, I thought it wasn’t funny and engaging enough, and then Hannah came out and she was fresh and I am intrigued. I think she’s cute, I love her curves, her delivery and what she smartly delivered. I felt her independence and confidence. I search more about her until it leads me to watch her Netflix special called Nanette. She is very witty, she was making me laugh, but in between bits there are vulnerable revelations, and by the latter part of the special I was sobbing. I was feeling her pain and I don’t like it that she was overpowered and violated by men. She was beaten in public and no one helped her. It was the first thing that shook me. I vow that when I see something wrong in my proximity, I will speak up and act. It’s not right to not protect somebody. Oh God, bless her. Thank you Hannah for your bravery to speak up and share your story. Thank you for showing your anger and inviting us to face the reality. Unless everybody is fine, no one is fine but this is hard to accomplish over night. I’ll do what I can control, I will better myself to give me comfort that I am making use of my life, and I will always recognize my worth and that no one can intimidate me. I have been inappropriately touch (swiftly their hands ran my booty) by strangers in a crowd twice in the past and I know that it those moments, I wasn’t fighting back. I let it go to not cause a scene, and now I wonder, should I searched for the predator so they will stop their malicious actions? The last time, it even happened inside a church, and I remembered feeling flustered and wants to burst out to cry. Men are physically stronger than women, that’s the advantage that they have and that makes it easier to take advantage of the weaker ones. I pray that may we use our strengths for goodness.